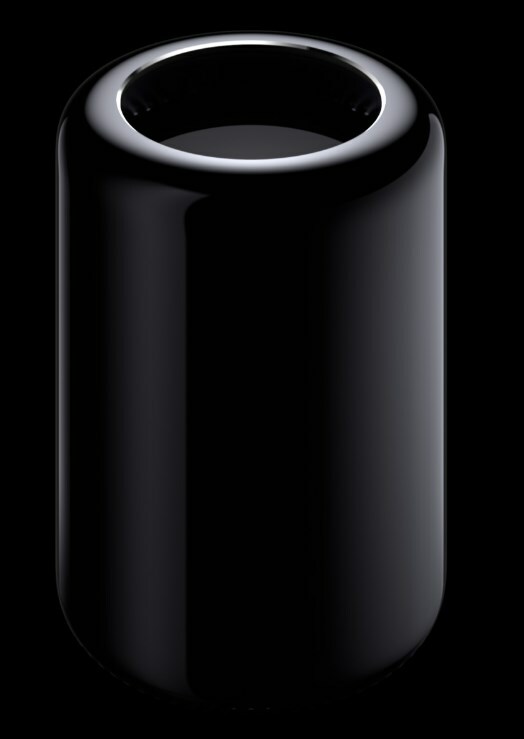 Apple announces that the cylindrical Mac Pro that it showed off a couple of months is now available. Prices start at a whopping $2,999. Apple® today redefined pro computing with the launch of the all-new Mac Pro®. Designed around an innovative unified thermal core, the Mac Pro features the latest Intel Xeon processors with up to 12 cores, dual workstation-class GPUs, six Thunderbolt 2 ports, PCIe-based flash storage and ultra-fast ECC memory. Packing amazing performance in a stunning new design, the all-new Mac Pro starts at $2,999 (US) and will be available in December. The new Mac Pro ships with OS X Mavericks. Mavericks is the 10th major release of the world’s most advanced operating system and is available for free from the Mac App Store?. In addition to more than 200 new features, Mavericks introduces features for power users including Finder® Tabs, Tags and enhanced multi-display support, as well as new core technologies for breakthrough performance such as Compressed Memory to keep your Mac fast and responsive. Mavericks also delivers significant performance enhancements for systems with dual GPUs through optimized OpenGL and OpenCL. For more information or to download Mavericks visit www.apple.com/osx/. The all-new Mac Pro will be available in December through the Apple Online Store (www.apple.com), Apple’s retail stores and select Apple Authorized Resellers. The Mac Pro is available with a 3.7 GHz quad-core Intel Xeon E5 processor with Turbo Boost speeds up to 3.9 GHz, dual AMD FirePro D300 GPUs with 2GB of VRAM each, 12GB of memory, and 256GB of PCIe-based flash storage starting at $2,999 (US); and with a 3.5 GHz 6-core Intel Xeon E5 processor with Turbo Boost speeds up to 3.9 GHz, dual AMD FirePro D500 GPUs with 3GB of VRAM each, 16GB of memory, and 256GB of PCIe-based flash storage starting at $3,999 (US).